Browse:Home Wilnoteka The ‘Polish Diaspora Product of the Year’ Prize – let’s be proud of Polish successes in Lithuania! The ‘Polish Diaspora Product of the Year’ Prize – let’s be proud of Polish successes in Lithuania! In 2014 the Polish Minister of Foreign Affairs established the honourable prize ‘Polish Diaspora Product of the Year’. This prize is granted to the products are invented or made by a Polish citizen or a person of a Polish origin living abroad. The applications of candidates for the second edition of this prize can be submitted until the 15th of January. The ‘Polish Diaspora Product of the Year’ Prize is awarded every year on the 2nd of May, which is the day of the Polish Diaspora and the Poles Abroad. The aim of the prize is to appreciate potential and innovativeness of Polish entrepreneurs operating abroad and promoting Polish brands. The prize honours the product, which creates a positive image of Polish entrepreneurship, represents an outstanding innovative potential and has the vital significance for recognition of Poland and Poles abroad. The jury appointed at the occasion of the first edition of this prize included Polish diplomats, representatives of the business and entrepreneurship milieu, journalists specialized in economic issues and representatives of the Ministries: of Foreign Affairs and of Economy. The first winner was Mirosław Pieńkowski, the founder and president of a company called Trinon GmbH from Karlsruhe in Germany. Mrs Pieńkowski was awarded for the Q-Implant Dental System, designated for dental surgeons and prosthodontists, which not only shortens the time necessary to have the implant prepared, but also reduces costs connected with transplantation. The system has already been implemented in Europe, Northern and Southern America, in the Middle East, Central and Eastern Asia and in Australia. Polish diplomatic posts and diaspora organizations submit applications of candidates for the next edition of the prize until the 15th of January. 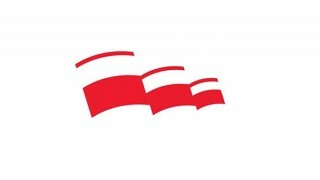 The proposed products should meet at least one of the following conditions: creates a positive image of Polish entrepreneurship or has a high potential for further creation of a positive image of Poles abroad; has an outstanding innovative potential; has the vital significance for recognition of Poland and Poles abroad; functions in a local environment and enhances it. The basic requirement is the manufacture of a proposed product by an entrepreneur who obeys rules of law, business ethics and fair competition on a market. The Polish Embassy in Lithuania appeals for reporting about interesting products of Polish manufacturers in Lithuania, which meet the abovementioned requirements. More information about the prize are available on the website of this Polish diplomatic post: www.wilno.msz.gov.pl .